A trip to New Orleans isn't complete without visiting the French Quarter where the original Pat O'Brien's bar became a cornerstone in the dueling piano industry. The official tagline at Pat O'Brien's is "Have fun!" If you can't find a reason to have fun at Pat O'Brien's let us help. From humble beginnings as a speakeasy Pat O'Brien's officially and legally opened their doors in 1933 with the end of Prohibition in the United States. Ever since the bar has been filled with lively conversation and plenty of entertainment. 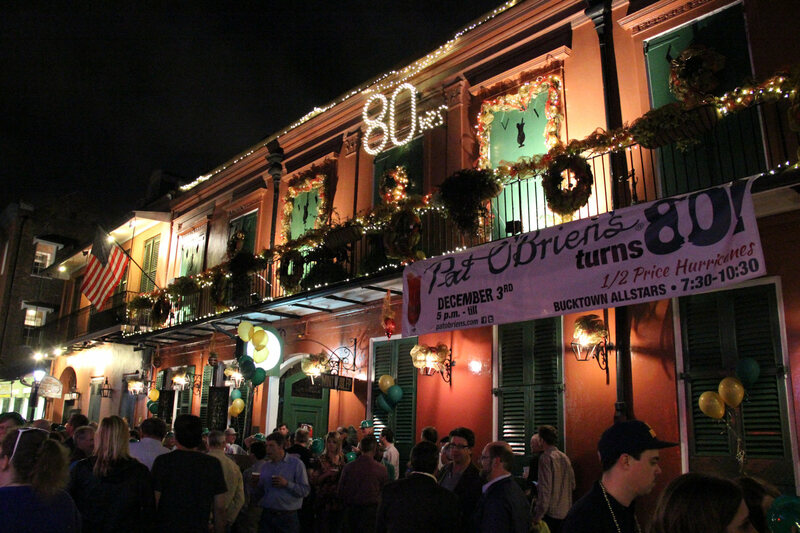 Throughout the over 80 years that Pat O'Brien's has been in business luck has always come knocking. They found success with the liquor shortage in the 1940's by creating the Hurricane and their crowing feature was the room where guests were entertained by two piano players in what became the birth of the dueling piano bar style. Pat O'Brien's always found a way back to their feet no matter what was happening. In the 1940's this was with the invention of their now-famous drink, the Hurricane. During this time liquors such as whisky, scotch and bourbon were in short supply... but there was plenty of rum to go around. Through experimentation the bar owners at Pat O'Brien's found the perfect recipe for drinkers of all stripes. Thus the Hurricane was born. Paired with its specialty glass shaped like a hurricane candle lamp this dink is a must-have at Pat O'Brien's. While literal piano duels go back farther in time Pat O'Brien took a less competitive approach. Two copper-topped baby grand pianos awaited players to entertain the guests who could ask for requests with song titles written on cocktail napkins. 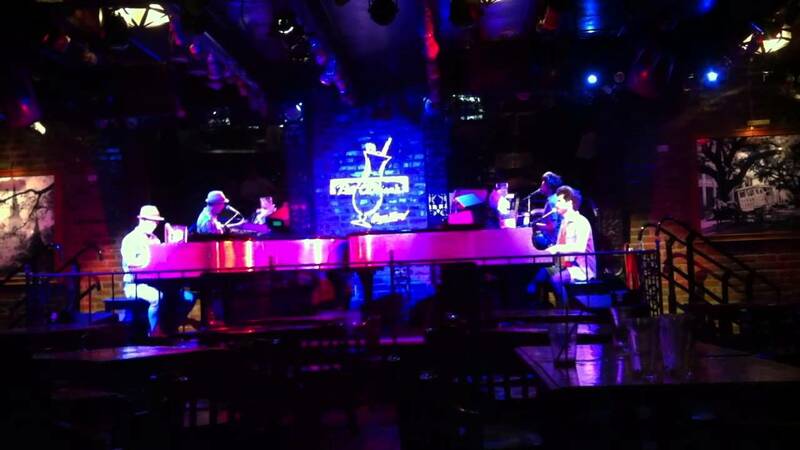 The audience was invited to sing-a-long with the players and the current dueling piano bar concept was created. Pat O'Brien's offers an atmosphere for every person and occasion with the free gift of plenty of fun. Weddings, anniversary celebrations, 21st birthday blasts and corporate outings will be sure to find their fun and excitement with a visit to this landmark bar. Since the bar has expanded in unimaginable ways since its inception there are several locations to choose from to host your event. You can choose from five bars to visit as well as two restaurants to host your event depending on your preferences and the company you keep. Pat O'Brien's will always call New Orleans home but they have additional locations in Orlando and San Antonio. For those who might not be able to reach either destination or would like to browse a bit they do have an online catalog that offers several of their signature drink mixes for you to try at home. Once you've ordered and sampled their wares you'll be sure to put a visit to Pat O's on your next travel destination list so you too can have fun!